When you update your LinkedIn profile, have you observed the Logo of your Company that appears on the right hand side of your role title? This Logo, when clicked would directly take your clickers to your Company Page. Imagine a role title and description without this Logo, what would happen? You would lose out on potential traffic. You could lose out on leads who wanted to know about your business or Company. Your profile would look dull without a bit of colors beside the text. This is why your business needs a LinkedIn Company Page. Whether you are a small or medium sized business or a large Corporate, having a creative LinkedIn Business Page is a must. You can create a separate identity for your business on LinkedIn and also ask your friends and clients to follow the page. You can post regular updates to the page, post links, articles and updates about your business. You can appreciate your current employees via the LinkedIn Company Page. You can make announcements for your staff members via this Page. You can build a great fan following and reference chain using the Page. You can add Featured Groups to your LinkedIn Company Page. You can use keywords to SEO your Company page and that would help it appear higher in search engines. You can write a great description, even sales pitches and attract potential customers and business leads. You can upload an image of the size 646*220 px to make sure the Page looks colorful. You can post advertisements, discount offers and even host contests using this Page. Contact us to get a Professional LinkedIn Company Page of your own. We will do everything to make it stand out of the crowd! Whatsapp to +918608657782 for details. 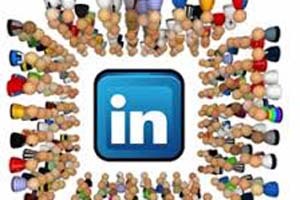 ⟵Need help writing LinkedIn profile? Follow these tips!